Food Corporation of India Phase 1 2019 is offering a good number of opportunities with 4,103 posts to the aspirants seeking for government jobs. Exam dates are yet to be disclosed for the same. The forthcoming exam for FCI Phase 1 2019 is needed to be taken with an apt strategy, a rigorous practice and an honest analyzation of your performance. ADDA247, a well-entrenched platform to promote effective preparation for govt. 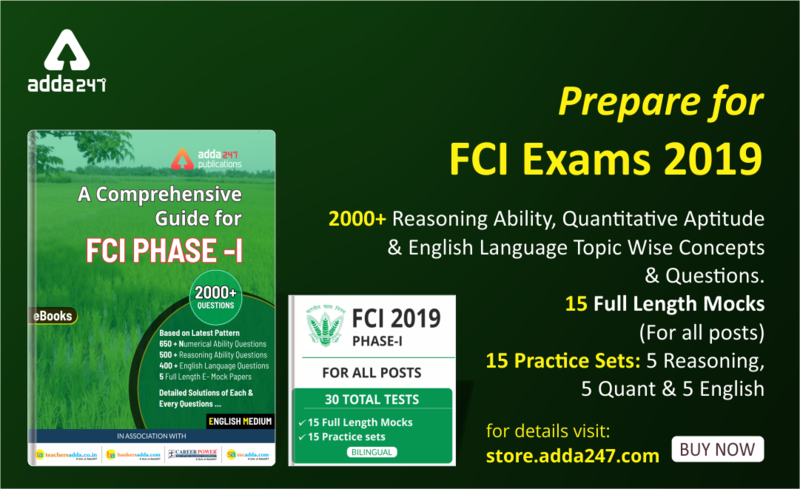 exams is stepping ahead once again to enable you with the appropriate study material for Food Corporation of India (FCI) Phase-I 2019 (for all posts) Exam to prepare you thoroughly for the exam withFCI Phase I 2019 Online Test Series at just Rs.349 and Comprehensive Guide for FCI Phase-I eBook at just Rs.299 developed under the tactical guidance of ADDA247’s faculty. 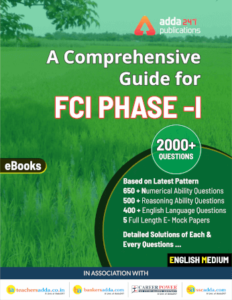 Taking into account every hitch faced by an average government job aspirant, FCI Phase I 2019 Online Test Series at just Rs. 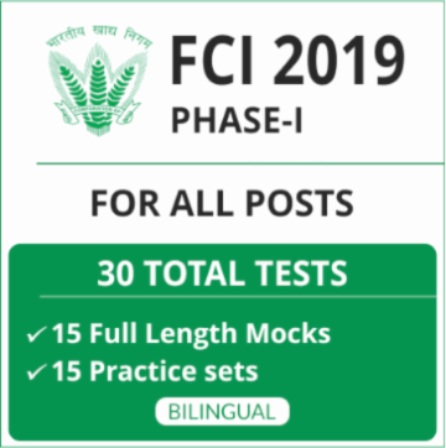 349 comprises 30 Total Tests based on latest exam pattern containing 15 Full Length Mocks for FCI Phase-I 2019 Exam ( for all posts) and 15 Practice sets: 5 Reasoning , 5 Quant & 5 English. E- Book subsumed with 2000+ Questions has been developed under the tactical guidance of top rankers and subject experts of ADDA247, promises to optimize your performance uplifting it to the peak of your level best.